BSP supremo Mayawati is expected to spell out her party's views on the political situation and the tie-up with Samajwadi party on her 63rd birthday on Tuesday, which the party workers look to make a grand event. Massive preparations are underway to celebrate the occasion in the state capital, with big hoardings and blue (party colour) banners being erected near the streets and around the party headquarters and her house here. Party sources said the Mayawati will hold a press conference and release the 14th volume of her book 'A Travelogue of My Struggle Ridden Life and BSP movement" on that day. The BSP president is scheduled to leave for Delhi in the latter half of the day to spend time with her family, they said. During the presser, she is expected to respond to queries on the political scenario in the country and the alliance with the Samajwadi Party for the upcoming Lok Sabha polls. Ever since her visit to Lucknow last week, the BSP chief has been busy holding meetings with party workers and leaders to take stock of ground realities and the party's preparation for the coming elections. "Behenji (as Mayawati is called) has directed party workers to strengthen their presence across all booths and ensure that people from all castes and social strata are connected with the party. She also took feedback on the work done in her absence," a party leader said. She has asked the party cadres to be wary of the designs of the ruling BJP to harm the interests of the SP-BSP alliance, the leader said. 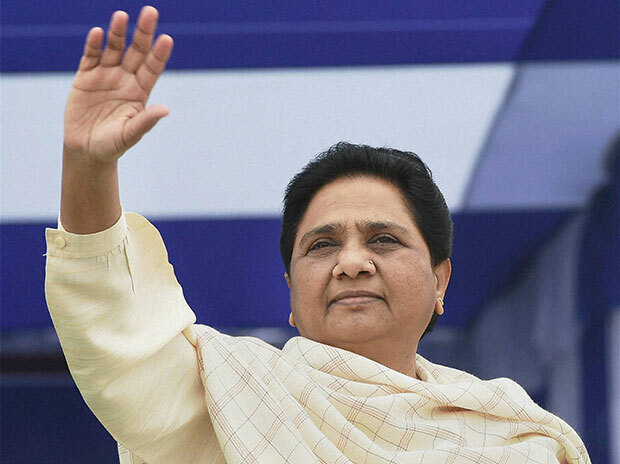 Though no formal invitation to other party leaders has been extended, party sources said BSP's coalition partners from other states may arrive in the national capital to wish Mayawati. The visit by Rashtriya Janata Dal leader Tejashwi Yadav to the state capital to meet the BSP supremo on Sunday can be viewed in this light, the party leader said. "Behenji usually spends her birthday with party workers and supporters who celebrate the day as 'jan kalyankari diwas' by extending a hand of support to the needy and downtrodden," he added.